No - I'm glad to say it is not me. I wouldn't dream of mixing feathers with silver jewellery like that - far too bland. I do, however, dance the samba - but not usually in the middle of a road junction when the lights are green. Given up living dangerously then? Not at all - I went out without my woolly hat yesterday. 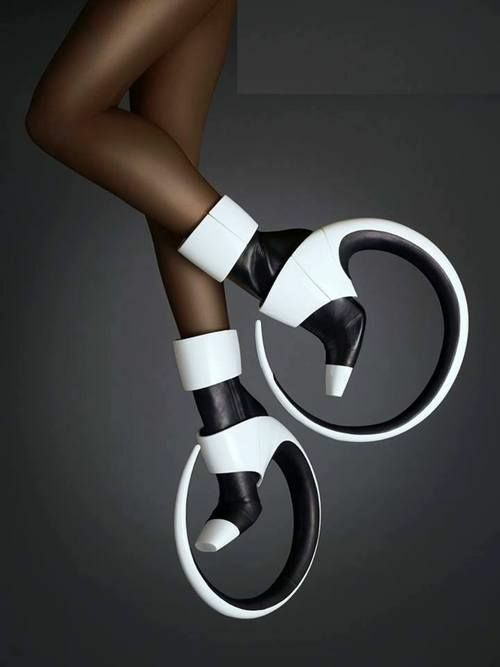 I wonder if it's actually possible to walk in them?